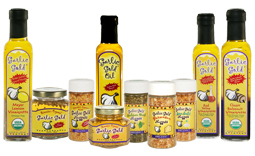 It’s time to grill with Garlic Gold®! This month, we’re featuring all of our favorite grilled recipes and side dishes for your picnic buffet. Our Teriyaki Tofu Pineapple Skewers couldn’t be easier to make — the marinade list is just four ingredients long. Cooked on the grill or on a stove-top grill pan, they’re as pretty as they are delicious. They’re a great vegetarian option for your next barbecue or a quick weeknight dinner. Combine the soy sauce, sugar, vinegar, and Garlic Gold® Oil in a shallow dish. Add the cubed tofu and toss to coat evenly. Set aside and let marinate for at least 20 minutes, up to 1 hour. 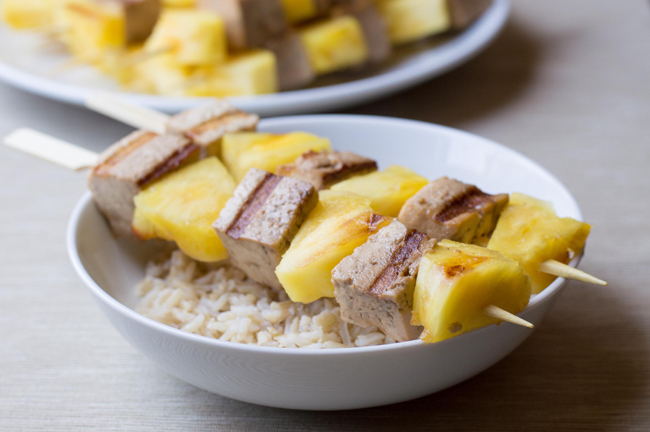 Assemble the skewers, alternating pieces of tofu and pineapple. Grill over high heat until heated through and marked with grill marks, a few minutes on each side. Serve over rice.